Nick Bearman is a gifted educator, with an extra bonus for the geospatial community in the UK (and increasingly worldwide) of a specialty in GIS. Bearman operates his own consultancy, creating custom training in GIS—both commercial and open source. He is also a blogger, noted author, and teaching fellow at one of the UK’s most prestigious institutions. One of his gifts is being able to explain complex subjects at almost any level, from beginners to advanced practitioners. 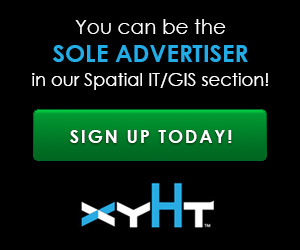 For instance, he has written several introductions to the popular open source GIS solution, QGIS, including one recently for xyHt. Bearman earned his bachelor’s and master’s in geography from Leicester University and his doctorate from the University of East Anglia. His doctoral work focused on a subject that could have great impact on the analysis of geospatial data in the future—the sonification of data—how sonic cue scales could help in advanced analyses, like the way we recognize audio tones to indicate different levels of status in our daily lives but on a much more sophisticated level [this is a subject xyHt will keep a close eye (or ear) on]. We asked Bearman about the recent explosion of interest in GIS among the AEC communities—like with the Esri-Autodesk partnership—and how GIS education could adapt to meet the needs of AEC practitioners. His response is that it would probably be best to concentrate on high-relevancy aspects of GIS: those with direct applications for engineering, with lots of real-world examples.